Spray 12-inch skillet with cooking spray. Cook barley in skillet over medium heat 6 to 8 minutes, stirring frequently until barley begins to brown, then stirring constantly until golden brown. Reduce heat to low; add broth. Cover; simmer 40 minutes. Stir in remaining ingredients except green onions. Heat to boiling over high heat. Reduce heat to low; cover and simmer 20 minutes or until vegetables are tender. Sprinkle with green onions. Barley was one of the first grains ever cultivated and contains many nutrients. One cup of cooked barley provides the same amount of protein as a glass of milk. It also contains niacin, thiamin and potassium. 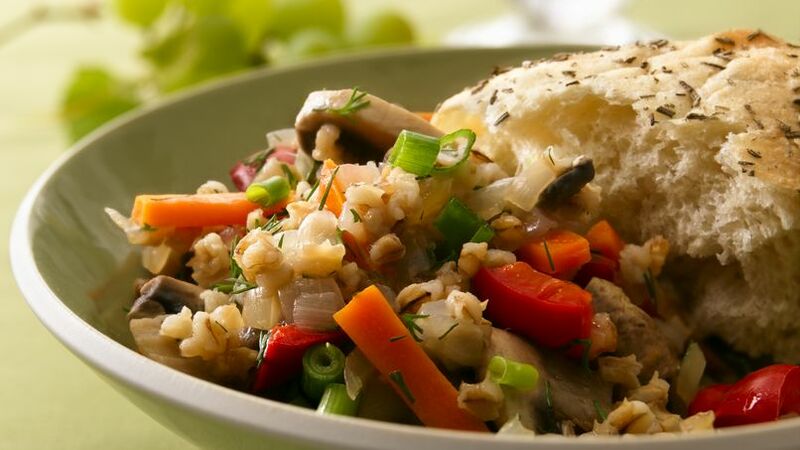 Toast barley with mixed vegetables in skillet makes a delicious side dish.